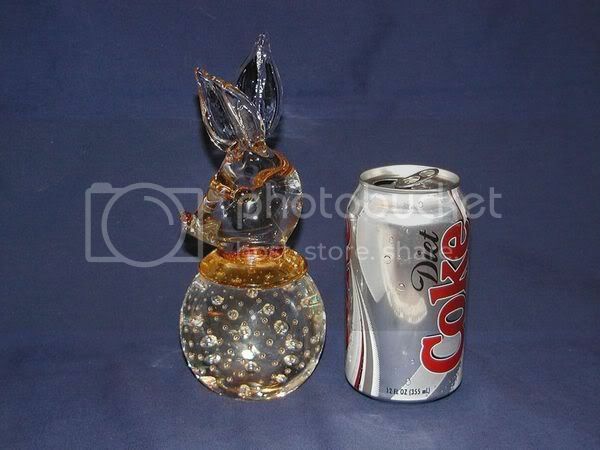 I don't know anything about paperweights but this one caught my eye. 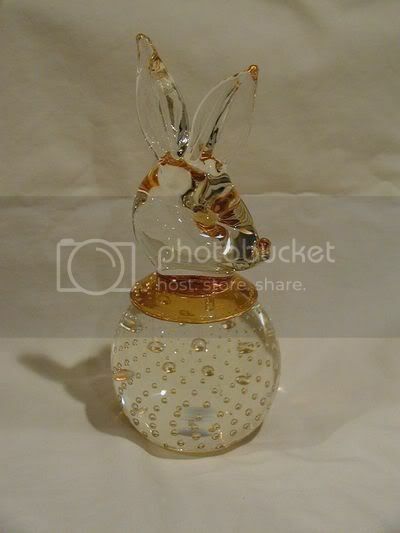 It's 7 3/4" tall clear controlled bubbles in the bottom with an attached rabbit head. The glass is amber color in the eyes, nose and collar of the piece. It does have age ware on the bottom but I don't know if this is a newer piece or older. The dealer told me it was from the 50's, but I just don't know. Any help would be greatly appreciated.